Well this being one of the best and most informative forums on SPL, I thought I would start this thread with the objective of receiving some of the basic know hows and to-do's for my newest project. 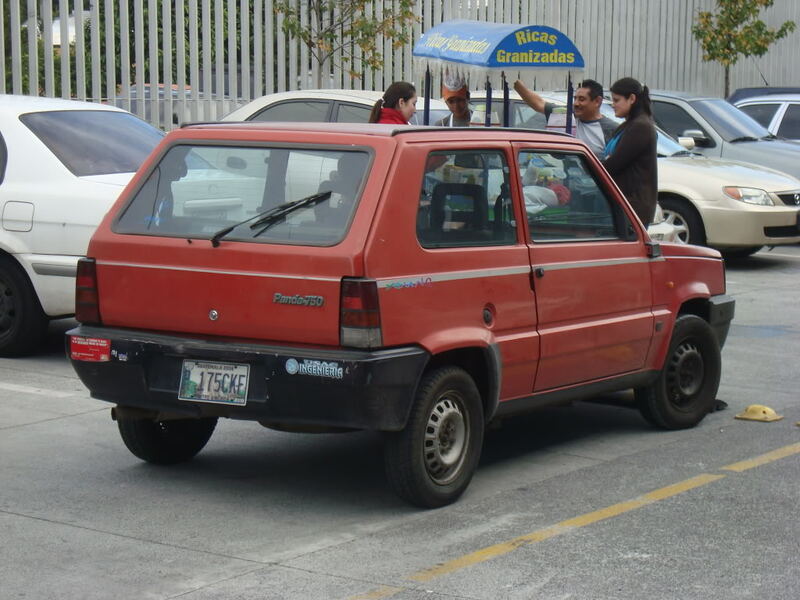 Its a '91 Fiat Panda, I plan on entering Street B Class in the Mexico and central American Region. We are trying are best on getting our DBs up so i wanna do my part. I do believe this is the best car for the job, and it helps that its probably the only trye "PANDA" within a 1000 mile radius of where I am. I would greatly appreciate the basic info like, Starting box size for 2 12s, places to deaden, and any other pertinent info for the project. I greatly appreciate all info especially since I have no possibilty of seeing a competitor vehicle like this anywhere around me. Get Vibraflex sound deadener or something equivalent. Maybe use the DD line for Sub woofers, and Sound Digital for a couple amps! iI have more experience with the CRX's in street class, so some of the panda guys have to step up and give some good info. Oh Make your box out of baltic birch Plywood with as many veneer plys as possible, It is the strongest wood, and will be louder than normal MDF. I believe the panda's work best firing woofers and port upwards, with the port being huge and flared. Maybe try 15X15 inches port size to start? Oh and your frequency should be really high in the 70's to. He speaks from experience! He knows what fun they are to have! What kind/brand of equipment are you deciding on for the panda?? hey buddy! Glad to see you back... took longer than I expected but I'm not surprised you're here. Damn, you and Murilo living in the same city... could be a nice combination! Ya, we are buying a 45ft trailer so we can fit 10 pandas. Oh come on.. SPL suitability aside, the Panda is one of the fugliest boxes of metal on the planet. Don't fool yourselves. The only people who might appreciate it are other SPL fanboys and they'll hate on it too cuz they don't have one..
Quick Reply: Just bought my first "PANDA", any and all help is welcome !